Whether you are in-house counsel, outside counsel, or litigation support, this 60-minute webinar plus 20-minute Q&A will improve your understanding and use of storytelling techniques during litigation. 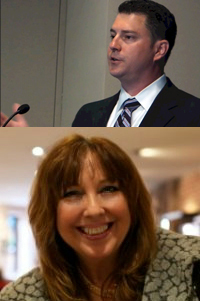 Presenters: Dr. Laurie R. Kuslansky, expert jury consultant and Managing Director, Jury Consulting, A2L Consulting and Ryan H. Flax, Esq., patent litigator and (Former) Managing Director, Litigation Consulting, A2L Consulting. In this one-hour webinar, Dr. Laurie Kuslansky reveals the science behind why storytelling works so well and lessons learned from more than 400 mock trials and 1,000 litigation engagements. Litigator turned litigation consultant Ryan Flax shares what he's learned about storytelling, particularly visual storytelling, while trying complex cases for a dozen years helping to amass more than $1 billion in jury verdicts and now helping hundreds of top litigators as a litigation consultant at A2L.